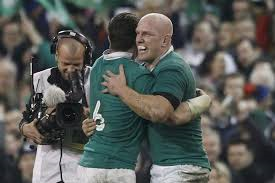 So after nail-biting finishes in round two, Round three of this year’s Six Nations championship is shaping up to be the most entertaining of them all, with decisive matches in Edinburgh, Paris and Dublin to come this weekend. Firstly, to Twickenham where following their Herculean performance in Cardiff the previous week, Stuart Lancaster’s England side returned home to a heroes welcome as they hosted an Italian side who had been comfortably dispatched by the Irish in Rome. On paper it may have seemed an easy win for the English, but led by their inspirational talisman Sergio Parisse, Italy took a shock lead with Parisse showing his deft handling skills to deceive full-back Mike Brown and go over in the corner. Shocked by the fast start from their opponents, England took a while to spark into life, before tries from Billy Vunipola and new star Jonathan Joseph saw them take the lead. Following the break however Italy responded with centre Luca Morisi spotting a gap between two English forwards before bursting through and showing good pace to get over the line. At this point with England leading by just eight points with 30 minutes to go, nerves were frayed amongst the Red Rose faithful. Scrum-half Ben Youngs calmed those nerves with a try from a quickly-taken penalty, while Joseph scorched his way over the line yet again before replacement Danny Cipriani received a pass from Jonny May to go over and seal victory. Nick Easter rumbled his way over for England’s sixth and final try before centre Morisi got his second with a consolation score at the death. A disappointing defensive display following the win in Cardiff but an encouraging display offensively – led once again by the dancing feet of Jonathan Joseph – for Lancaster, who now has a plethora of options available throughout his team going into a crucial match against the Irish. For Italy, a significant improvement in attack from the first game, but that porous defence continues to leak tries. To Dublin, and without doubt the most physically gruelling match of the weekend. Two sides coming off the back of unconvincing victories met at the Aviva with the reigning champions looking to gain some much-needed momentum. Joe Schmidt’s side were boosted by the return of key man Jonny Sexton at fly-half after missing three months with concussion. What followed was a performance that beggared belief from a player who had been out for so long? 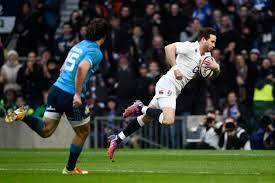 Sexton produced one of the great fly-half shows, dictating the match with his kicking game forcing France to run back towards their own try-line for most of the match. With a 100% accuracy from the kicking tee, Sexton proved the match winner with a 15 point haul, added to by a solitary penalty from Ian Madigan. For France, two penalties from Camille Lopez was followed by a late try from replacement lock Romain Taofifenua that resulted in a nervous final ten minutes, but Ireland survived to keep their winning run on track. Schmidt will have been delighted with returning Lions, Sexton and Sean O’Brien, but while pleased with a solid start, will be expecting more attacking threat from the champions as they head into their decisive winner-takes-all clash with England. Finally to Edinburgh, where two sides coming off the back of contrasting defeats met at Murrayfield. A despondent Welsh team arrived in Scotland after a demoralising defeat to old rivals England, while a rejuvenated Scotland returned home after a narrow yet courageous defeat in France. A Scotland side re-energised under coach Vern Cotter ran in the first try of the afternoon, when quick turnover ball resulted in full-back Stuart Hogg running in from his own half for a seven-pointer. Leigh Halfpenny responded with two penalties to go with his earlier effort, the second of which coming following a yellow card to Scot fly-half Finn Russell for taking out opposite number Dan Biggar in the air. Wales made their one-man advantage count when following a knock-on from Scotland, the Welsh broke from their own half with Rhys Webb going over in the corner for a try converted by the ever-reliable Halfpenny. The first-half action wasn’t over there as Wales centre Jonathan Davies followed Russell to the sin-bin after a similar – if less dangerous – incident to the one that saw the Scot carded. Despite constant pressure from Scotland, Wales hung on, defending on their own line right up to the half-time whistle, to preserve their six-point lead. In the second half, Laidlaw scored penalties either side of a Halfpenny kick, before Welsh wing Liam Williams had a try rightfully chalked off for an off-the-ball infringement. Wales didn’t have to wait long for their second-half dominance to tell though as Jonathan Davies ran on to a Biggar pass at pace, breaking the Scottish defensive line and going under the posts to give Halfpenny the easiest of kicks. At this point, with Wales leading 26-16 with just under ten minutes to go, the match looked to be slipping away from Cotter’s men. However, after yet another poor Welsh lineout fell into Scottish hands, the dangerous running of Stuart Hogg saw Scotland break from deep getting agonisingly close to the try-line before knocking the ball on. A late try looked to have given Scotland the smallest of chances of sneaking a victory, but referee Glen Jackson brought the match controversially to a halt following the try despite having a few seconds to play. Despite the controversy, Wales ran out narrow yet deserved winners, with Warren Gatland’s side producing a strong defensive performance, dominating the breakdown and showing a more clinical edge than their gutsy opponents, which gives them a platform to build on ahead of a tough-looking trip to Paris in Round three. While for the Scots, it was another hard-luck story, although with obvious signs of improvement, a home match against Italy in the next round looks very winnable.